Here are Google's own instructions for creating a key developers.google.com/speed/docs/insights/v4/first-app#APIKey or you can continue reading below for more detailed instructions with screenshots. You have to have a Google account. Click the “Create Project” button or choose the existing project to generate the key from. 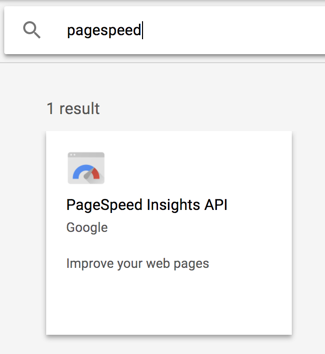 Use the search box to locate the PageSpeed Insights API and click it to continue. Navigate to Credentials and click to create an API key or use an existing one if you have already set one up previously. 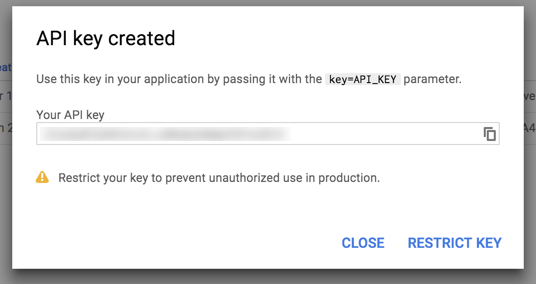 Take the API key from your Google account Recommended: You should restrict the key. This means you limit which websites (domains) you can use it. Paste this API Key into the Settings page and remember to enable the feature. Check in on the SEO Audit page. Remember to allow the plugin a little time to collect information and present details.